This may sound somewhat of a trite statement, but you would be surprised to know just how many tasks and processes in any given organization don’t involve multiple participants. One of the reasons why bad data gets created and processes break down is because the processes are not engineered from the bottom up with collaboration, oversight, multi-participant contribution and review as an integral component. 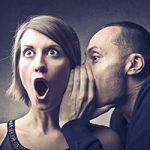 Many organizations recognize workflow and workflow-bound processes as being valuable, but many also see workflow-bound tasks as a function of a lack of trust and one of those proverbial ‘cover your back’ policies. The truth though, is that the whole concept of collaboration can ultimately lead to simplicity despite the notion that involving more participants is counter intuitive to productivity and efficiency. The idea that more participants can actually make the process simpler can be explained in a few very simple ways. Using the pareto principle, as much as 20% or maybe even more of data processing activities may require rework, a value that can almost certainly be reduced when there is oversight, review or multi-participant workflow. This rework becomes part of the back and front office overhead with respect to data management. Research has found that increasing training on quality issues, identifying quality rework problem areas, increasing full-time quality staff, and having personnel analyse pre-task quality efforts all contribute to less rework. 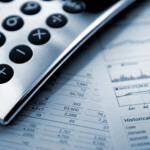 Unfortunately, all work invested in initial effort and then the rework involved in correcting bad data or incorrect information becomes an irrecoverable cost to the data management process and one that results in higher cost per event for data creation and management. For one Winshuttle customer running shared services in Europe, implementing workflow around the manual journal entry (MJE) process reduced their rework from 12% to just 1% – their DRIFT* KPI rose from 88% to 99% on over 40,000 MJE’s per annum. This cost of failing to address rework also excludes the further costs that are incurred from poor decisions based on bad data. So a reduction in rework resulting from more participants in the process can have a significant value both above and below the line. 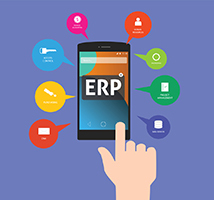 Indications from Winshuttle customers on the effects of workflow automation have indicated on numerous occasions that a robust and reliable automated workflow with tight ERP integration with systems of record like SAP can improve end-to-end processes in numerous ways. At the Winshuttle User Group Conference held in Brussels in early 2014 a large carbonated beverage manufacturer indicated that their purchase requisitioning process alone benefited from an accelerated process that was contracted from 72 hours to less than ten minutes per process event. This acceleration of the process occurred principally because of the Winshuttle and SAP integration which led to the avoidance of data transcription. And was also as a result of more intuitive and user oriented workflow and forms design when compared with the legacy Lotus Notes solution which it replaced. 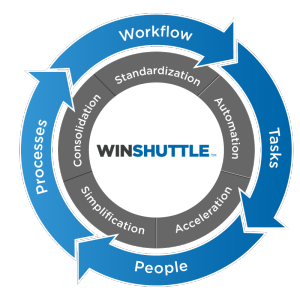 The process involved the same number of participants but the accessibility, usability and data hand-off characteristics of the Winshuttle solution all promoted a more efficient end-to-end process. The concept of intelligent workflow is an important aspect of any workflow design. In the workflow planning and design decisions about event materiality, the participant flow and factors like implied approval as opposed to explicit approval are all factors that can accelerate the end to end workflow process. Eliminating unnecessary steps, allowing submitters and gate keepers to resume workflows from particular points in the workflow process all help to smooth the process, eliminate inefficiencies and standardise tasks. 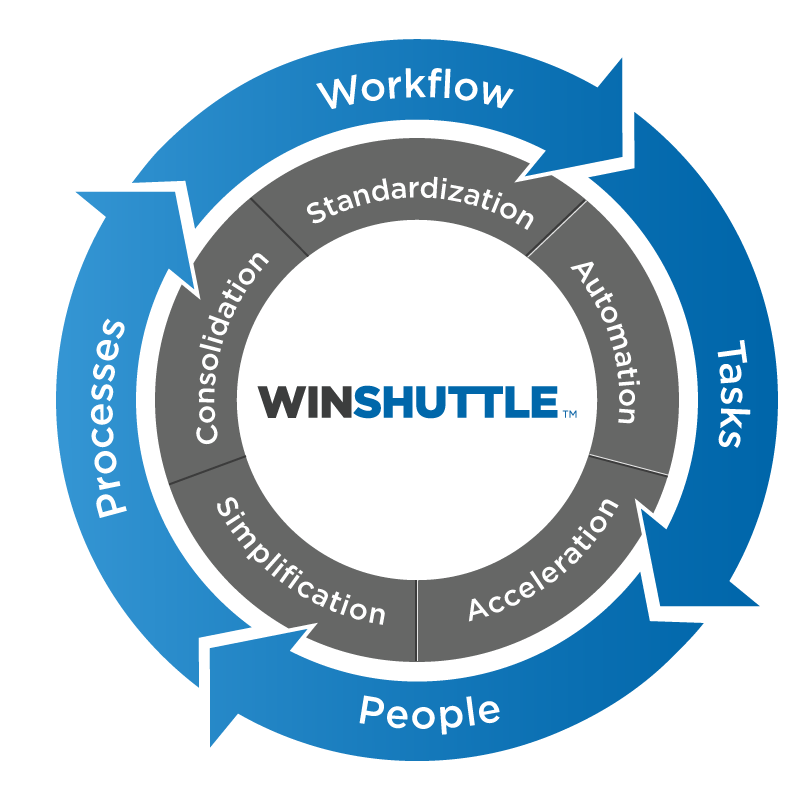 Learn more about how Winshuttle can not only accelerate and improve processes but in fact also accelerates the actual time to value of workflow bound processes.